Moderate Fitness Levels - Referee Fitness Test - Help Needed! I have got moderate levels of fitness and referee soccer (football) twice a week (Saturday & Sunday a.m - sometimes p.m). I will have to undertake a fitness test in the summer (2.6km in 12 minutes), but I want to treat it as a 3km so that I can get considerably fitter. I can run 3km now at between 12-15 minutes depending on effort. I try to train 3 times a week, be in HIIT (on a treadmill) or long runs. I want to be able to do 3km comfortably in 12 minutes and doing it any faster would be a blessing. The test will be in the Summer, so at the present time I have got a good 6 months to train for it - just looking for some ideas as to how I should structure my training. Thanks for your question about your referee fitness test. Great that you ask this question six months in advance. It gives you some decent time to prepare. And it will provide you with some opportunity to improve. Soccer is an interesting sport in terms of fitness. I have played it for years and years. It requires so much from your fitness because it is this painful combination of going long and going hard. You cover a lot of ground in a game (especially when on mid-field where I was positioned) and you have to do lots of sprints in between as well. The stopping and going makes it much tougher than a general long run. It's interesting that the referee testing still requires you to cover a set distance in a set amount of time; it would make more sense to put some kind of element in there that makes you stop and go a lot. First of all, I'd advise you to work on longer distance running first and foremost. 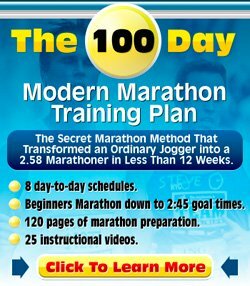 It would be great if you could build up the distance in your training to about 60 minutes of running or so. You'll do so much better in your 2.6k test once you have built up your stamina to a level where 60 minute runs are a piece of cake. This alone would probably already get you to your goal. But closer to the test (say last 2-3 months) I'd also work on some faster running. 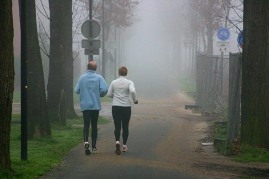 This can be High Intensity Interval Training or some tempo running. The key there is to get some variety as every type of running training stresses different body systems. Even then, I'd focus most of my running on the easy longer distance runs. Base Running Drills - About long distance runs/easy runs. Tempo Running - An explanation about tempo running, somewhat faster running which helps you improve your lactic acid threshold. Interval Running - About speedwork and how it helps. Fartlek - An introduction to speedwork with "speed play". Increasing Mileage Safely - Guidelines on how to increase your mileage without getting injured.